New Star Soccer (NSS), a series that left me with much fond memories. 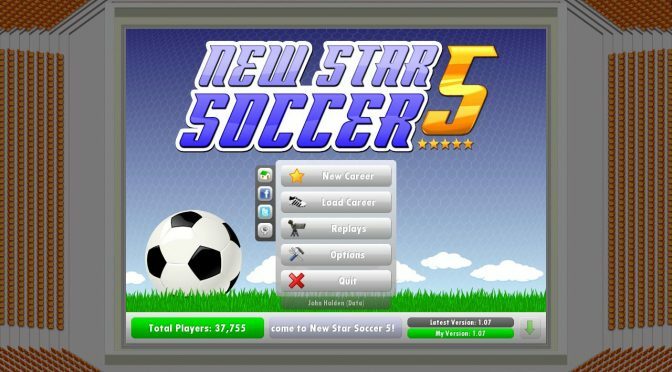 I remembered reviewing the previous game a few years ago; NSS 4 was brilliant and so was NSS 3. 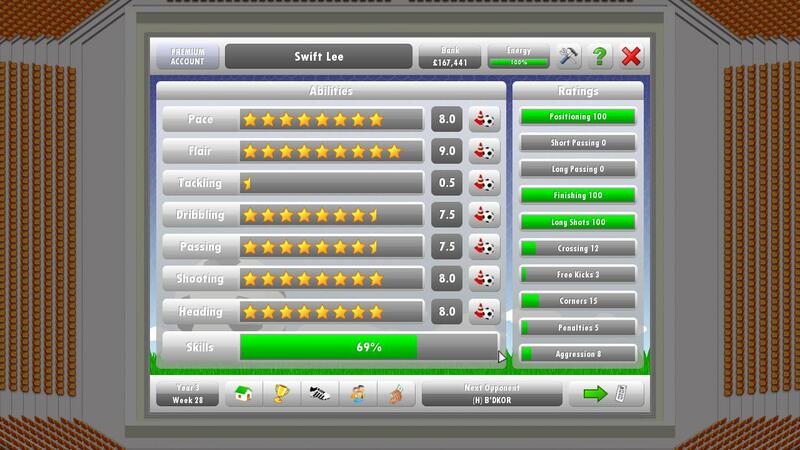 NSS is a soccer/football simulation game where you play the life of a footballer. Whether you become a legend later solely depends on your skills and the way you manage your career and life. Back then the game offered something different from your bigger developers such as EA Sports and Konami with their FIFA and Pro Evolution Soccer (PES) franchises respectively. Both of those games didn’t have a player simulation mode then. However in their recent few releases, Be a Pro (BAP) and Become A Legend (BAL) are modes that are well polished and provide much fun. With that said, how does NSS 5 fair against the big guns? I’ve went back and read over my previous review of NSS 4. 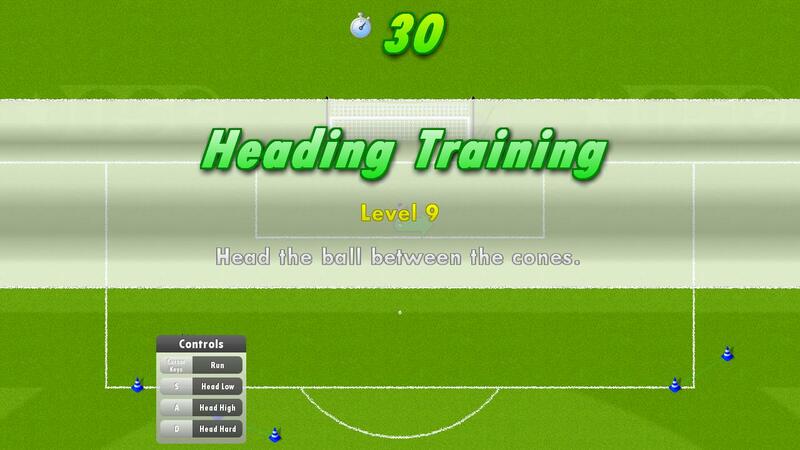 Indeed, what NSS 5 offers over FIFA and PES is the options and depth in player life simulation. BAP and BAL focus mainly on the football side of things, overlooking the minor details such as relationships, lifestyle etc. This doesn’t equate to bad in any way, it just lacks that little depth and choice that would be gladly appreciated. 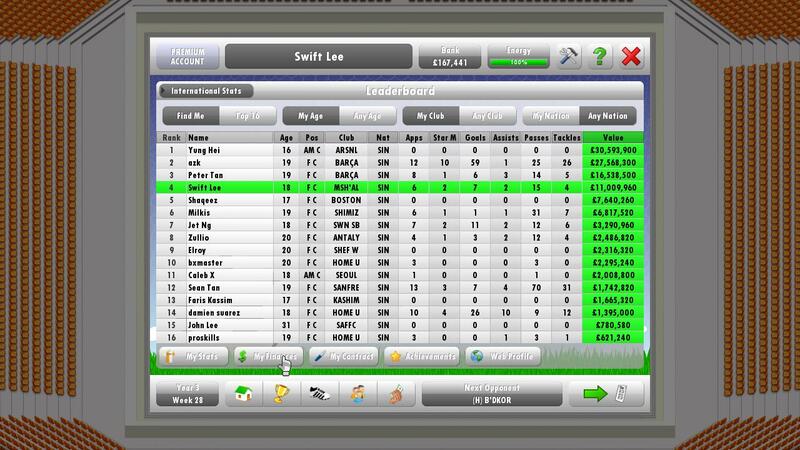 With that said, the player life simulation and even the football simulation in NSS 5 felt way too simplistic and overly straightforward. There isn’t much improvement over the years and I have to admit I am greatly disappointed. 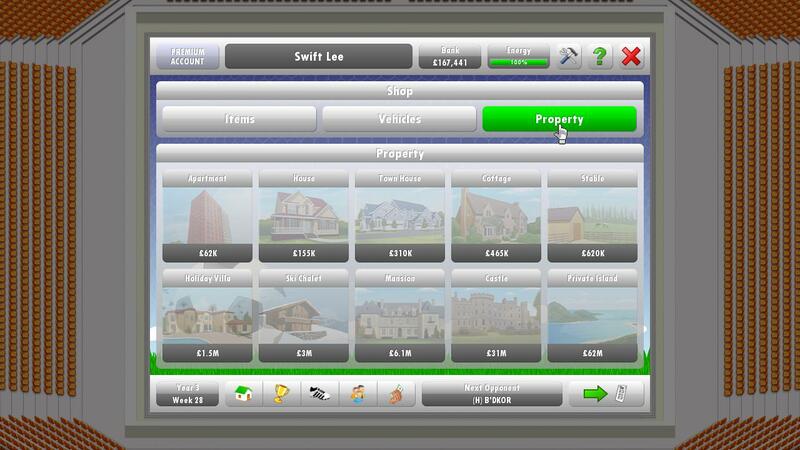 Many if not all of the different things of the player’s life are based of mini-games and simple mouse clicks. I was hoping for more complexity and diversity rather than a shallow implementation of it. Even the aspect of contract negotiation is a mini-game where you have to guess if the next number is bigger or smaller than the current one. To put it nicely, it is plain stupid. I may be harsh but seriously? Why, in my opinion, many independent developers manage to excel is because of their ideas and concepts behind the game. They often provide something special, something out of the norm that wows people. NSS was a series that made me excited. It touched on football simulation that no one did (then at least). Now with the big developers slowly exploring such an idea, it is to their advantage that they exploit the foundations that are already there and improve on it. Sadly, that didn’t happen at all. The match game engine felt familiar. AI is still as basic as ever but it is fine. NSS 5 is developed by independent developers that lack the budget and manpower that EA Sports and Konami have. The engine for what it is now is fine. It is a simple engine that requires user to use the directional keys and 3 different other keys to press. You basically have the option to execute a pass, a lob or a shot. There is also the option to choose the beginner or easy mode where actions are executed with just a key press. When defending, you have to option to slide. Holding any button when you do not have the ball will make your player chase the ball. After an action is executed, you have the ability to apply after touch, basically to apply curl and spin to the ball. The match engine takes some time to get used to. It is a rather steep learning curve even for a player like me who has played the previous games before. However, once you start getting a grip over the controls, the game plays fine. Character development is tweaked from the previous game. It is neither an improvement nor is it worse in any way. From the various different stats you had in the past, the developers decide to split the attributes into two main categories. One of which is the core attributes of a footballer player; you have things such as heading, passing, shooting, tackling etc. The other is called Player Ratings. These basically affect your overall value of your players and can be increased by playing well in matches. The core attributes can no longer be increased during matches, instead you have to play a mini-game where you have to perform a particular drill successfully to increase it. The drills are pretty fun and the difficulty increases according to your particular skill level. Player life simulation has been pretty much the same as the previous game. You have to manage your relationship between different parties such as your team mates, boss, friends, fans and sponsors. There are the occasional events where you have to choose between two different parties. Relationship between career related parties can be improved by performing in matches. You too can choose to spend some energy and play a matching mini-game to improve the relationship. It is disappointing that there is only one main mini-game to play in terms of improving relationships. As shallow as it is, some kind of variety would definitely make it more interesting. Else, maybe the developers could have spent some time exploring a deeper and more meaningful system. There is also the casino and horse betting. All kind of mini-games and there are also Aussie Casino Bonuses at www.EasyMobileCasino.com that you can play with as well. There doesn’t seem to be anything new added to the game. There are, however, some major revamps in the way the game works. Firstly, instead of progressing by days, you simply progress through the game by weeks or matches. Every time you end a turn you a brought to the very next match. For me it works fine as it helps increase the pace of the game. According to bestuscasinos.org let it ride page, there is also the new implementation of an online system. The whole world now consists of player created footballers. As much as it is a rather interesting design choice, I would prefer and like the option of having real life footballers existing in my game. There is much fun when you can pretend to be playing alongside your favourite footballers but with the new implementation, all of such hopes are lost. In NSS 5, you cannot view different teams and the players in it. Players in your team will be occupied by other characters should they be in the same team but else they will simply be nameless footballers. Graphics and sound effects are about the same as before. You now have graphical indications whenever you make a good move. Your manager will shout from the bench to either praise or scold you. The background music at the menu screens can get quite irritating after hearing them for prolong periods of time. Thankfully you can mute it in the options screen. For a one man team I don’t really expect much changes or improvements to the graphics or sound. But with the gameplay showing not much improvement or freshness from before, I really wonder what exactly has been done to the game for all these years. Overall, NSS 5 seems to have taken some steps back from its previous game. There isn’t many, if not any, improvements over the previous game. Minor additions are easily overlooked and there is the major disappointment that comes from the lack of development or exploration in the aspect of personal life and out of field activities. The design choice of involving user created players in the world seems to be interesting but isn’t exactly beneficial in any way. Yes, it is developed by one guy. And yes, he had made a fantastic game before. What exactly happened between NSS 4 and 3 to NSS 5 leaves me much to wonder. With the FIFA and PES franchise catching up in the player career simulation, I don’t see how the NSS games can compete should it continue in such a direction. If you’ve yet to try out the New Star Soccer series, do give it a go. It is free to play for the first few matches while allowing you to play 3 matches every day thereafter. If you want to play more, you have to purchase a premium account, similar to that of purchasing the game. If you’ve owned NSS 4, there are not many reasons, if any, to get this version. P.S: Do note that this review is largely influenced with NSS 4 and 3 in mind. I’ve played those games and I’ve enjoyed them a lot. Throughout the review I’m constantly having those games in my mind and constantly making comparisons.